Are you too busy to commit to a weekly dog obedience class with a set schedule? Have you taken a dog training class and found that your dog still acts like a maniac at home? 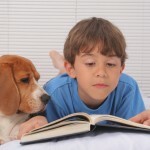 Are you finding that training a dog is much harder now that you have kids? Private coaching may be perfect for you. We offer in-home dog coaching and training throughout Cincinnati, Hamilton, and the Oxford area. We’ll come to your home, office, local park, or anywhere that your dog misbehaves to help you gain control in a real-world setting. Flexible scheduling with daytime, evening, and weekend appointments available. Our coaching programs are our most customized service, because everything depends on you. All of our programs start with a 90-minute lesson in which we evaluate your dog, discuss your goals, agree on a training plan, and get you started on your first exercises. The fee for the consult is $195. Follow-up lessons are $115 each if you pay-as-you go. You can also purchase a package of 4 lessons for $425. When you purchase a package, additional lessons beyond your 4th are $105 each. Contact us today and let us design a custom training plan for your dog and your family. Training Tracks did wonders for our energetic blue heeler mix. She went from a timid, excitable puppy to a well-behaved dog with confidence. Mel and Jeff taught us how to bring out the best in our dog. We had no idea how much potential she had! As owners, we were taught how to solve behavior problems by breaking down training into mini-steps. Our dog absolutely loved the classes, and we’re not sure who learned more, she or us!